Prof. Hudgings focuses on practical applications in optics and semiconductor devices, including solar cells, energy efficient lighting and lasers. She has published more than 30 articles in scholarly journals, many of which are coauthored with undergraduate students. She is a Fellow of the Optical Society of America and received a National Science Foundation CAREER Award for her work on vertical cavity surface emitting lasers, an award that NSF describes as its most prestigious honor in support of junior faculty who “exemplify the role of teacher-scholars through outstanding research, excellent education and the integration of education and research within the context of the mission of their organizations.” In 2007, Prof. Hudgings and her collaborators founded the startup company Alenas Imaging to commercialize the thermal imaging technology developed in her laboratory. “Methods of Thermoreflectance Thermography,” U.S. Patent number 8,362,431, issued January 2013. “Optical characterization of photonic integrated circuits,” U.S. Patent number 8,408,786 issued April 2013. “High performance CCD-based thermoreflectance imaging using stochastic resonance,” U.S. Patent number 7,429,735, issued September 2008. “Vertical-cavity, surface-emitting laser with an intracavity quantum-well optical absorber,” U.S. Patent 6,026,108, issued February 2000. K. Allison, M. Hallman, A. Radunskaya, J. Hardin, and J. Hudgings, “Theory and experiment to increase the speed of CCD-based thermoreflectance imaging,” submitted to Journal of the Optical Society of America A, 2017. A.R. Davis, L. Pye*, L, N. Katz, J.A. Hudgings, K.R. Carter, “Spatially Mapping Charge Carrier Density and Defects in Organic Electronics Using Modulation Amplified Reflectance Spectroscopy,” Advanced Materials, vol.26 (26), p.4539-45, 2014. N. Katz, A. Arango, and J. Hudgings, "Mapping Temperature in OLED Displays Using CCD Thermoreflectance," Photonics Technology Letters, vol. 26 (2), p.194-7, 2014. N. Katz, M. Patterson*, K. Zaunbrecher, S. Johnston and J. Hudgings, “High resolution imaging of defects in CdTe solar cells using thermoreflectance,” Electronics Letters, vol. 49 (24), 2013. Q. Zhou, X. Hu*, K. Al-hemyari, K. McCarthy, L. Domash, J.A. Hudgings, “High spatial resolution characterization of silicon solar cells via thermoreflectance imaging,” Journal of Applied Physics, vol. 110 (5), p.053108-1, 2011. Jonathan A. Malen, Kanhayalal Baheti, Tao Tong, Yang Zhao, Janice A. Hudgings, Arun Majumdar, “Optical Measurement of Thermal Conductivity Using Fiber Aligned Frequency Domain Thermoreflectance,” Journal of Heat Transfer, vol. 133 (8), p.081601, 2011. J. Summers, T. Yang, M. T. Tuominen, and J.A. Hudgings, “High contrast, depth-resolved thermoreflectance imaging using a Nipkow disk confocal microscope,” Review of Scientific Instruments, vol. 81 (1), p.014902, 2010. K.J. Greenberg*, J.A. Summers, and J.A. Hudgings, “Thermal coupling in vertical cavity surface emitting laser arrays,” Photonics Technology Letters, vol. 22 (9), pp.655-657, 2010. J.A. Summers, M. Farzaneh, R.J. Ram, and J.A. Hudgings, “Thermal and optical characterization of photonic integrated circuits by thermoreflectance microscopy,” Journal of Quantum Electronics, vol. 46 (1), pp.3-10, 2010. L.H. Domash, K. McCarthy, Q. Zhou, K. Al-Hemyari, X. Hu, J. Hudgings, “Thermoreflectance and multimode imaging for defect location in silicon solar cells,” Proceedings of the SPIE – The International Society for Optical Engineering, vol.7773, p.77730A, 2010. M. Farzaneh, K. Maize, D Luerssen, J.A. Summers, P.M. Mayer, P.E. Raad, K.P. Pipe, A. Shakouri, R.J. Ram, and J.A. Hudgings, “CCD-based thermoreflectance microscopy: principles and applications,” Journal of Physics D: Applied Physics, vol. 42 (14), p.143001, 2009. M. Farzaneh, R. Amatya*, D. Lüerßen, K.J. Greenberg*, W.E. Rockwell*, and J.A. Hudgings, “Temperature profiling of VCSELs by thermoreflectance microscopy,” Photonics Technology Letters, 19 (8), pp.601-603, 2007. P.M. Mayer, D. Lüerßen, R.J. Ram, and J.A. Hudgings, “Theoretical and experimental investigation of the thermal resolution and dynamic range of CCD-based thermoreflectance imaging,” Journal of the Optical Society of America A, 24 (4), pp.1156-63, 2007. M. Farzaneh, J. A. Hudgings, and R. J. Ram, "Fiber-free characterization of photonic integrated circuits by thermoreflectance microscopy," Proceedings of the 2007 Conference on Lasers & Electro-Optics/Quantum Electronics and Laser Science, vols. 1-5, pp.1860-1861, 2007. E.W. Kapusta*, D. Lüerßen, and J.A. Hudgings, “Quantifying optical feedback into semiconductor lasers via thermal profiling,” Photonics Technology Letters, vol. 18 (2), pp.310-312, 2006. D. Lüerßen, R. J. Ram, and J. Hudgings, "Radial temperature profiling of VCSELs," Proceedings of the 2005 Conference on Lasers & Electro-Optics (CLEO), vols. 1-3, pp.1378-1380, 2005. D. Lüerßen, R.J. Ram, A. Hohl-AbiChedid, E. Clausen, Jr., and J.A. Hudgings, “Thermal profiling: locating the onset of gain saturation in semiconductor optical amplifiers,” Photonics Technology Letters, vol. 16 (7), pp.1625-1627, 2004. D. Lüerßen, R. J. Ram, and J. A. Hudgings, "2-D thermal imaging of the optical power distribution in photonic integrated circuits," Proceedings of the 2004 IEEE LEOS Annual Meeting Conference, vols. 1 and 2, pp.163-164, 2004. J.A. Hudgings, K.P. Pipe, and R.J. Ram, “Thermal profiling for optical characterization of waveguide devices,” Applied Physics Letters, vol. 83 (19), pp.3882-3884, 2003. P.A. Judge*, C.H.L. Quay*, and J.A. Hudgings, “Robustness to optical feedback of oxide-confined versus proton-implanted VCSELs,” Applied Physics Letters, vol. 81 (21), pp.3933-3935, 2002. B.W. Packard and J.A. Hudgings, “Physics Careers Website: Expanding college women’s perceptions of physicists’ lives and work,” Journal of College Science Teaching, vol. 32 (3), pp.164-170, 2002. P. A. Judge*, C. H. L. Quay*, and J. A. Hudgings, "Sensitivity to optical feedback of oxide-confined vs. proton-implanted VCSELs," 2002 Digest of the LEOS Summer Topical Meetings, pp.C49-C50, 2002. C.H.L. Quay*, I.Z. Maxwell*, and J.A. Hudgings, “Coherence collapse and redshifting in vertical-cavity surface-emitting lasers exposed to strong optical feedback,” Journal of Applied Physics, vol. 90 (12), pp.5856-5858, 2001. J.A. Hudgings, R.J. Stone, S.F. Lim, K.Y. Lau, and C.J. Chang-Hasnain, “Comparative study of the analog performance of a vertical cavity surface emitting laser under gain and cavity loss modulation,” Applied Physics Letters, vol. 77 (14), pp.2092-2094, 2000. J.A. Hudgings, L.A. Molter, and M. Dutta, “Design and modeling of passive optical switches and power dividers using non-planar coupled fiber arrays”, IEEEJournal of Quantum Electronics, vol. 36 (12), pp.1438-1444, 2000. J.A. Hudgings, R.J. Stone, C.H. Chang, S.F. Lim, K.Y. Lau, and C.J. Chang-Hasnain, “Dynamic behavior and applications of a three-contact vertical cavity surface emitting laser,” IEEE Journal of Selected Topics in Quantum Electronics, vol. 5 (3), pp.512-519, 1999. R.J. Stone, J.A. Hudgings, S. F. Lim, K.Y. Lau, and C.J. Chang-Hasnain, “Independent phase and magnitude control of an optically carried microwave signal with a three terminal vertical cavity surface emitting laser,” IEEE Photonics Technology Letters, vol. 11 (4), pp.463-465, 1999. J.A. Hudgings, S.F. Lim, G.S. Li, W. Yuen, K.Y. Lau, and C.J. Chang-Hasnain, “Compact, integrated optical disk readout head using a novel bistable vertical cavity surface emitting laser,” Photonics Technology Letters, vol. 11 (2), pp.245-247, 1999. J.A. Hudgings, K.Y. Lau, “Step-tunable all-optical wavelength conversion using cavity-enhanced four wave mixing,” IEEE Journal of Quantum Electronics, vol. 34 (8), pp.1349-1355, 1998. J.A. Hudgings, R.J. Stone, S.F. Lim, G.S. Li, W. Yuen, K.Y. Lau, and C.J. Chang-Hasnain, “The physics of negative differential resistance of an intracavity voltage-controlled absorber in a vertical cavity surface emitting laser,” Applied Physics Letters, vol. 73 (13), pp.1796-1798, 1998. J.A. Hudgings, S.F. Lim, G.S. Li, W. Yuen, K.Y. Lau, and C.J. Chang-Hasnain, “Self-pulsations, bistability, and intracavity quantum well absorber modulation of VCSELs,” in Optoelectronic Integrated Circuits II, Proceedings of the SPIE, vol. 3290, ed. S. Wang and Y. Park, 1997. S.F. Lim, J.A. Hudgings, G.S. Li, W. Yuen, K.Y. Lau, and C.J. Chang-Hasnain, “VCSELs with a novel integrated quantum-well absorber,” in Vertical-Cavity Surface-Emitting Lasers II, Proceedings of the SPIE, vol. 3286, ed. R.A. Morgan and K.D. Choquette, 1998. S.F. Lim, J.A. Hudgings, L.P. Chen, G.S. Li, W. Yuen, K.Y. Lau, and C.J. Chang-Hasnain, “Modulation of a vertical-cavity surface-emitting laser using an intracavity quantum-well absorber,” IEEE Photonics Technology Letters, vol. 10 (3), pp.319-321, 1998. S.F. Lim, J.A. Hudgings, L.P. Chen, G.S. Li, W. Yuen, K.Y. Lau, and C.J. Chang-Hasnain, “Novel intracavity modulator integrated with a vertical-cavity surface-emitting laser,” in Trends in Optics and Photonics Series (TOPS), ed. C.J. Chang-Hasnain, Washington, D.C., Optical Society of America, 1997, vol. 15, pp.48-52, 1997. S.F. Lim, J.A. Hudgings, G.S. Li, W. Yuen, K.Y. Lau, and C.J. Chang-Hasnain, “Self-pulsating and bistable VCSEL with controllable intracavity quantum-well saturable absorber,” Electronics Letters, vol. 33 (20), pp.1708-9, 1997. Mark Hallman*, Kyle Allison*, Johanna Hardin, Ami Radunskaya, and Janice Hudgings, “Increasing the speed of CCD-based thermoreflectance imaging: an experimental and theoretical demonstration,” Conference on Lasers and Electrooptics, San Jose, CA, May 2018. Chaelee Dalton* and Janice Hudgings, “Integrating anti-bias education into traditional physics teaching,” American Physical Society March Meeting 2018, Los Angeles, CA, March 2018. Fernando Ayala*, Tyler Jones*, Yannai Kashtan*, Katherine Kornegay*, Sabrina Li*, David Tanenbaum, and Janice Hudgings, “Defect characterization of organic photovoltaics,” American Physical Society March Meeting 2018, Los Angeles, CA, March 2018. Ana Sofia de Olazarra*, Ricardo Espinoza*, Laura Parker, Kara Martin, Kenneth Carter, and Janice Hudgings, “Charge Carrier Transport in Organic Field-Effect Transistors,” American Physical Society March Meeting 2018, Los Angeles, CA, March 2018. Kyle Allison*, Mark Hallman*, Johanna Hardin, Ami Radunskaya, and Janice Hudgings, “Theoretically and experimentally demonstrated enhanced-speed thermoreflectance imaging,” American Physical Society March Meeting 2018, Los Angeles, CA, March 2018. Ricardo Espinoza*, Ana Sofia de Olazarra*, Janice Hudgings, Kara Martin, Laura Parker, Kenneth Carter, “Fabrication and Characterization of Thin-Film Polymeric Devices,” student section, 33rdAnnual Meeting of the Division of Laser Science of the American Physical Society,Washington, D.C., 2017. Mark Hallman*, Kyle Allison*, and Janice A. Hudgings, “Increasing the speed of CCD based thermoreflectance: theory and experiment,” Frontiers in Optics,Rochester, NY, 2016. Fernando Ayala*, Jeremy Grigsby, Janice Hudgings, “Thermoreflectance Imaging of Organic Photovoltaics,”student section, 32rdAnnual Meeting of the Division of Laser Science of the American Physical Society, Rochester, NY, 2016. Andrew R. Davis, Fatma Baycan Koyuncu, Noam Katz, Lorelle Pye*, Janice A. Hudgings, and Kenneth R. Carter, "Effective Functional Film Formation Strategies for Organic Semiconductors and Novel Methods for Observing Charge Mobility,” 11th International Symposium on Functional Pi-Electron Systems, Arachon, France, June 2013. Andrew Davis, Lorelle Pye*, Noam Katz, Janice Hudgings, Kenneth Carter. "Visualizing and Mapping Charge Carriers in Polymer Transistors," Gordon Research Seminar on Polymers, Mount Holyoke College, South Hadley, MA, June 2013. J. Hudgings, “High resolution electrical, optical, and thermal metrology for sub-micron optoelectronic devices,” Conference on Lasers and Electro-Optics, San Jose, CA, 2013. Hexuan Wang*, Kadhair Al-hemyari, Susu Yan*, Joseph Summers, Janice Hudgings, “Spatially Resolved Thermal Analysis of High Power Light Emitting Diodes Using Thermoreflectance Microscopy,” Annual Meeting of the American Physical Society, Boston, MA, March 2012. Amelia Plunk*, Andrew Davis, Kadhair Al-hemyari, Alexi Arango, Kenneth Carter, Janice Hudgings, “Characterizing Heat Spreading and Performance Degradation in Organic Light-Emitting Diodes,” Annual Meeting of the American Physical Society, Boston, MA, March 2012. Achyut Shrestha*, Andrew Davis, Kenneth Carter, Janice Hudgings, “Thermal Analysis of Defects in Organic Light Emitting Diodes using Thermoreflectance Imaging Technique,” Annual Meeting of the American Physical Society, Boston, MA, March 2012. Qiaoer Zhou, Xiaolin Hu*, Kadhair Al-hemyari, Kevin McCarthy, Lawrence Domash, and Janice Hudgings, “Shunt Detection and Performance Characterization of Silicon Solar Cells Using Thermoreflectance Imaging,” Conference on Lasers and Electrooptics 2011, Baltimore, MD, May 2011. Kadhair Al-hemyari, Susu Yan*, Joseph Summers, Janice Hudgings, “Spatially Resolved Thermal Analysis of High Power LEDs Using Thermoreflectance Imaging,” Conference on Lasers and Electrooptics 2011, Baltimore, MD, May 2011. Janice A. Hudgings and Kevin McCarthy, “Stochastic resonance enhanced imaging for defect location in silicon solar cells,” Optics and Photonics for Advanced Energy Technology, Cambridge, MA, June 2009. Joseph A. Summers and Janice A. Hudgings, “Confocal thermoreflectance for spatially resolved surface thermography of transparent LEDs,” Conference on Lasers and Electrooptics 2009, Baltimore, MD, June 2009. J. A. Summers, T. Yang, M. T. Tuominen, J. A. Hudgings, "High-contrast thermoreflectance thermography using a Nipkow disk confocal microscope," 21st Annual IEEE Lasers and Electro-Optics Society Meeting (LEOS), Newport Beach, CA (2008). Kathryn J. Greenberg*, Joseph A. Summers, Maryam Farzaneh, and Janice A. Hudgings, “Spatially resolved thermal coupling in VCSEL arrays using thermoreflectance microscopy,” Conference on Lasers and Electrooptics 2008, San Jose, CA, May 2008. Janice Hudgings, “Thermography of VCSELs and microstructures,” IEEE/LEOS Semiconductor Laser Workshop, San Jose, CA, May 2008. Katherine Greenberg*, Maryam Farzaneh, Reja Amatya*, Dietrich Lüerßen, and Janice A. Hudgings, “2D thermal imaging of VCSEL arrays by thermoreflectance microscopy,” Annual Meeting of the Optical Society of America, San Jose, CA, September 2007. Maryam Farzaneh, Janice A. Hudgings, and Rajeev Ram, “Fiber-free characterization of photonic integrated circuits by thermoreflectance microscopy,” Conference on Lasers and Electrooptics 2007, Baltimore, MD, May 2007. Maryam Farzaneh, Reja Amatya*, Dietrich Lüerßen, Kathryn Greenberg*, Whitney Rockwell*, and Janice A. Hudgings, “Surface thermal imaging of VCSELs by thermoreflectance microscopy,” MAR07 Meeting of the American Physical Society, Denver CO, March 2007. Maryam Farzaneh, Dietrich Lüerßen, and Janice A. Hudgings, “Thermal profiling of photonic integrated circuits by thermoreflectance microscopy,” Conference on Lasers and Electrooptics 2006, Long Beach, CA, May 2006. Reja Amatya*, Dietrich Lüerßen, Maryam Farzaneh, and Janice A. Hudgings, “Thermal lensing in oxide-confined, single-mode VCSELs,” Conference on Lasers and Electrooptics 2006, Long Beach, CA, May 2006. Maryam Farzaneh, Dietrich Lüerßen, Peter Mayer, Rajeev Ram, and Janice A. Hudgings, “2-D thermal imaging of the surfaces of optoelectronic devices by thermoreflectance microscopy,” MAR06 Meeting of the American Physical Society, Baltimore, MD, March 2006. Dietrich Lüerßen, Rajeev J. Ram, and Janice A. Hudgings, “Radial temperature profiling of VCSELs,” Conference on Lasers and Electrooptics 2005, Baltimore, MD, May 2005. Evelyn Kapusta*, Dietrich Lüerßen, and Janice A. Hudgings, “Using thermal profiling to quantify optical feedback into semiconductor lasers,” 2005 Quantum Electronics and Laser Science Conference, Baltimore, MD, May 2005. Janice Hudgings and Rajeev Ram, “High resolution thermal profiling of semiconductor lasers,” IEEE/LEOS Semiconductor Laser Workshop, Baltimore, MD, May 2005. Dietrich Lüerßen, Janice A. Hudgings, Peter M. Mayer, and Rajeev J. Ram, “Nanoscale thermo-reflectance microscopy with 10mK temperature resolution using stochastic resonance,” 21st IEEE Semiconductor Thermal Measurement and Management Conference, San Jose, CA, March 2005. Dietrich Lüerßen, Rajeev J. Ram, and Janice A. Hudgings, “2-D thermal imaging of the optical power distribution in photonic integrated circuits,” IEEE Lasers and Electrooptics Society Meeting 2004, Rio Mar, Puerto Rico, November 2004. Evelyn Kapusta*, Dietrich Lüerßen, and Janice A. Hudgings, “Quantifying optical feedback into semiconductor lasers by thermal profiling,” Frontiers in Optics 2004, Rochester, NY, October 2004. Bidita J. Tithi*, Elizabeth Fenstermacher*, Dietrich Lüerßen, and Janice A. Hudgings, “Determining fiber coupling efficiency of a semiconductor optical amplifier without direct optical measurement,” Frontiers in Optics 2004, Rochester, NY, October 2004. Dietrich Lüerßen, Janice A. Hudgings, Rajeev J. Ram, Edward Clausen, Jr., and Angela Hohl-AbiChedid, “Thermal profiling of gain saturation in semiconductor optical amplifiers,” Conference on Lasers and Electrooptics 2004, San Francisco, CA, May 2004. J.A. Hudgings, K.P. Pipe, and R.J. Ram, “Wafer scale profiling of photonic integrated circuits,” Conference on Lasers and Electrooptics 2003, Baltimore, MD, June 2003. P.A. Judge*, C.H.L. Quay*, and J.A. Hudgings, “Sensitivity to optical feedback of oxide-confined versus proton-implanted VCSELs,” Lasers and Electrooptics Society Summer Topical Meetings, Mont Tremblant, Quebec, July 2002. P.A. Judge*, C.H.L. Quay*, and J.A. Hudgings, “Comparative study of the optical feedback sensitivity of oxide-confined vs. proton-implanted VCSELs,” Conference on Lasers and Electrooptics 2002, Long Beach, CA, May 2002. K.M. Boates* and J.A. Hudgings, “Reduction of modal noise in multimode fiber systems employing VCSELs versus low-coherence edge-emitting lasers,” Optical Society of America Annual Meeting 2001, Long Beach, CA, October 2001. J.A. Hudgings and B.W. Packard+, “Integrating physics career identity into the introductory physics curriculum,” American Association of Physics Teachers Annual Meeting, Guelph, Ontario, July 2000. I.M. Zaharieva*, C.Quay*, D. Weinberger, and J.A. Hudgings, “Feedback-dependent polarization behavior of VCSELs,” Optical Society of America Annual Meeting 2000, Providence, RI, October 2000. C. Quay*, I.M. Zaharieva*, D. Weinberger, and J.A. Hudgings, “Coherence effects in VCSELs subjected to optical feedback,” Optical Society of America Annual Meeting 2000, Providence, RI, October 2000. K.A. Walther*, M. Peterson+, and J. A. Hudgings, “Modeling of a three-contact VCSEL with an intracavity absorber,” Optical Society of America Annual Meeting 2000, Providence, RI, October 2000. J.A. Hudgings, C.Q. Huei-Li*, I.M. Zaharieva*, and D. Weinberger, “The effect of optical feedback on vertical-cavity surface-emitting lasers,” Optical Society of America Annual Meeting 2000, Providence, RI, October 2000. J.A. Hudgings, R.J. Stone, C.H Chang, K.Y. Lau, and C.J. Chang-Hasnain, “Comparative study of the analog performance of a vertical-cavity surface-emitting laser under gain and cavity loss modulation,” 2000 Conference on Lasers and Electro-optics, San Francisco, CA, May 2000. J.A. Hudgings, R.J. Stone, S.F. Lim, K.Y. Lau, and C.J. Chang-Hasnain, “Integrated phase and magnitude control of a microwave optical subcarrier using a three-contact vertical cavity surface emitting laser with an intracavity absorber,” Optical Fiber Communication Conference 1999, San Diego, CA, February 1999. J.A. Hudgings, S.F. Lim, R.J. Stone, G.S. Li, W. Yuen, K.Y. Lau, and C.J. Chang-Hasnain, “Applications and device physics of a novel VCSEL with an intracavity quantum-well absorber,” Optical Society of America Annual Meeting, Baltimore, MD, October 1998. J.A. Hudgings, S.F. Lim, G.S. Li, W. Yuen, K.Y. Lau, and C.J. Chang-Hasnain, “Frequency tuning of self-pulsations in a VCSEL with a voltage-controlled saturable absorber,” 1998 Optical Fiber Communication Conference, San Jose, CA, 1998. R.J. Stone, J.A. Hudgings, S.F. Lim, G.S. Li, K.Y. Lau, and C.J. Chang-Hasnain, “Negative differential resistance of an intracavity voltage-controlled absorber in a vertical cavity surface emitting laser,” 16th IEEE International Semiconductor Laser Conference, Nara, Japan, October 1998. S.F. Lim, J.A. Hudgings, G.S. Li, W. Yuen, K.Y. Lau, and C.J. Chang-Hasnain, “Novel bistable VCSEL for efficient and compact optical pickup applications,” Conference on Lasers and Electrooptics 1998, San Francisco, CA, May 1998. J.A. Hudgings and K.Y. Lau, “Step-tunable, all-optical wavelength conversion using cavity-enhanced four wave mixing,” 1997 Optical Fiber Communication Conference, Dallas, TX, February 1997. S.F. Lim, J.A. Hudgings, G.S. Li, W. Yuen, K.Y. Lau, and C.J. Chang-Hasnain, “Self-pulsating VCSEL with controllable quantum-well saturable absorber,” IEEE Lasers and Electrooptics Society 1997 Summer Topical Meetings, Montreal, Quebec, Canada, August 1997. Prof. Hudgings is currently the Seeley W. Mudd Professor of Physics and a Wig Distinguished Professor at the College. Prior to this, she served as the dean of the college and vice president for academic affairs, in which role her responsibilities included supporting the faculty in their teaching and research, administering the academic program, exploring new instructional initiatives, and supporting cooperative programs with the other Claremont Colleges. 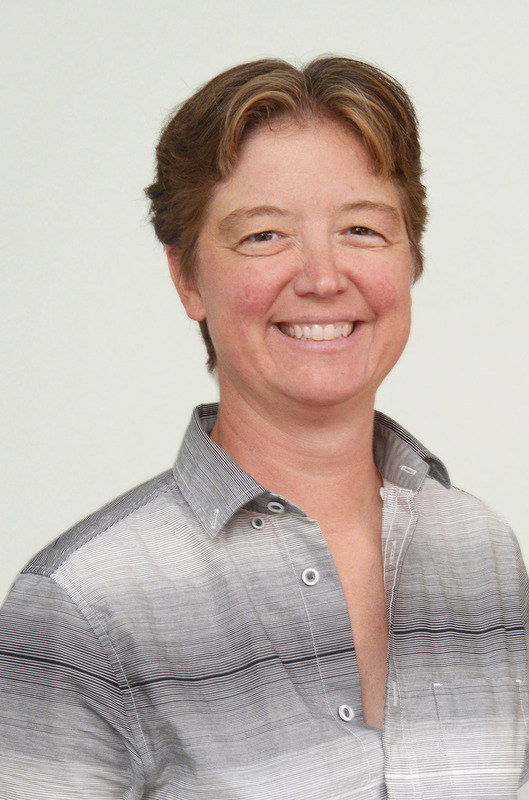 Prof. Hudgings came to Pomona in 2013 from Mount Holyoke College where she was an associate dean of faculty and a professor of physics. As associate dean, she was responsible for working with humanities, arts, sciences and math departments in curricular and personnel development, including faculty and staff hires, annual operating budgets, restricted funds and facilities. She also served on key college committees and led strategic initiatives on advancing the use of technology to enhance liberal arts education, examining faculty composition and workload, and institutionalizing best practices for faculty diversity. Prof. Hudgings also co-founded the startup company Alenas Imaging to commercialize the thermal imaging technology developed in her laboratory. She served as the vice president and chief technology officer of Alenas Imaging from 2007-2012. Wig Distinguished Professor Award (for excellence in teaching, the highest honor bestowed on Pomona faculty, recognizing exceptional teaching, concern for students and service to the College and the community), 2018. CAREER Award, National Science Foundation, 2002-2007. Optical Society of America’s Esther Hoffman Beller Medal (for innovative teaching methods and involving undergraduate physics and engineering students in original, state-of-the-art, publishable research in optics and solid state physics), 2004. Research Scholarship Award, Mount Holyoke College, 2006. Career Enhancement Fellowship, Woodrow Wilson Foundation, 2002-2003. “MRI: Acquisition of a Multi-Chamber Hybrid Organic/Inorganic Thin Film Deposition System;” National Science Foundation; $294,750; 2012-2014. “EAGER: Feasibility of Increasing Organic LED Lifetime via Improved Thermal Management;” National Science Foundation; $150,000; 2010-2014. Center for Hierarchical Manufacturing; National Science Foundation; subcontract from the University of Massachusetts Amherst; $300,000; 2005-2014. “Microcrack Detection in Silicon Solar Cells;” Department of Energy; $185,604; 2009-2010. HHMI Undergraduate Science Education Program grant; $1 million; 2008-2012. “Nanoscale 3D Thermal Profiling Inside Optoelectronic Devices;” National Science Foundation, $270,000; 2006-2010. “Thermoreflectance for defect mapping and process control of solar cells;” National Science Foundation;, STTR Phase I and IB awards; $199,998; 2008-2009. “High Performance Thermal Profiling of Photonic Integrated Circuits;” National Science Foundation; $270,000; 2003-2006. “CAREER: Stability and Polarization Control of Single Mode Vertical-Cavity Surface-Emitting Lasers Exposed to Optical Feedback;” National Science Foundation CAREER award; $375,000; 2002-2007. “Thermal Profiling for Optical Characterization of Photonic Integrated Circuits;” Photonics Technology Access Program, National Science Foundation and DARPA; estimated value of technology $40,000; 2004. Career Enhancement Fellowship; Woodrow Wilson National Fellowship Foundation; $31,500; 2002-2003. “The Role of Spin Coupling and Dichroism in Semiconductor Laser Dynamics;” Research Corporation; $46,954; 2002-2004. “Upgrade and Modernization of the Introductory Modern Physics Laboratory;” NSF Course, Curriculum, and Laboratory Improvement Program; $50,695; 2000-2001. “Characterization of Vertical Cavity Lasers in Practical Systems Applications;” ILX Lightwave University Donation Program; $10,000; 2000. “Investigation of Modal Noise in VCSELs used with Multimode Fiber;” Council on Undergraduate Research; $4,000; 2000.